We’re the Snowmobile Insurance Experts in Washington State! Are you ready for powder? You’re not alone! Countless Washingtonians start counting down the days to snow by early October. Snowmobiling is certainly one of the most popular recreational winter activities. Over 120 Washington State Sno-Parks offer more than 3,000 miles of groomed trails for high-speed winter fun! Keep in mind that the same rules and regulations that apply for other motorized vehicles also apply for snowmobiles. 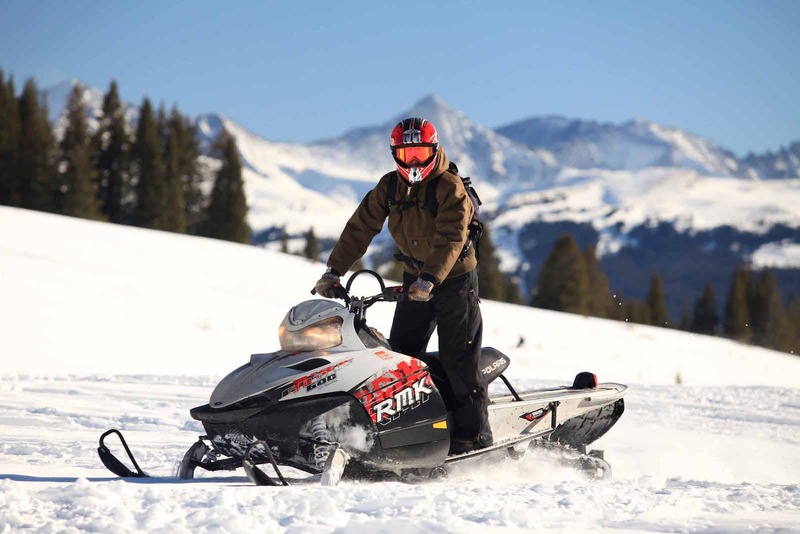 All snowmobiles must be registered through the Washington State Department of Licensing, even if the snowmobile is only used on private property. Although insurance for snowmobiles is not required by law in Washington State, we strongly advise all snowmobile owners and operators to carry adequate insurance. Neither your auto insurance nor your homeowner’s / renter’s insurance will provide coverage if you are held responsible in a snowmobile accident. Keep in mind that a snowmobile – just like a car – is a motorized vehicle. You may hit another snowmobile and cause injuries or property damage to the other rider. Or, you might get hit by another driver and, if they are not insured, have to pay your medical expenses and repair costs out of your own pocket. Snowmobile Insurance will provide coverage. And, if you are a safe rider, hold a snowmobile safety certificate, own your home, or make your payments promptly, you even qualify for discounts. Please call McClain Insurance at 425-379-9200 for more information on Snowmobile Insurance in Washington, Oregon or Utah. Before heading out into the winter wonderland, decide which routes and trails you’ll want to ride, who you’ll go with, and how long you’ll be gone. Then, tell a friend or family member about it and check in with them at certain times during your excursion. Agree that they will call for help if they don’t hear from you within an appointed time frame. Carry personal items with you such as your driver’s license, insurance card, cash, cell phone, GPS and personal medications. Don’t forget a supply of high-energy food and water. Have basic safety and repair equipment on your snowmobile, including a tool kit, knife, compass, spark plugs, a spare drive belt and straps, flares, waterproof matches, a flashlight and an extra key. And of course, last but not least, don’t forget a first aid kit. Pack all supplies in a waterproof container. 5. Don’t Speed – Keep Your Distance – Don’t Drink and Ride. And Know Your Snow. All right, that’s 4 tips in one… But they are true! Always be in control of your vehicle, know your speed, and, at night, never ‘overdrive’ your headlights: Typically, snowmobile headlights have a reach of 200 feet. By the time you see an obstactle, you need to be able to react – and brake – before hitting the obstacle. If you are going too fast, you might not be able to see the obstacle in time to react and brake. Especially when you are riding in a group, it is easy to follow too closely. Follow the “3-second rule”: When the person in front of you passes an object, you should be able to count 3 seconds before you reach the same object yourself. Ride at a safe distance. As with any motorized vehicle, you should NEVER operate a snowmobile after you consume alcohol. It takes some practice to learn to ride a snowmobile in various conditions. Check the weather report before you head out, and be prepared for patches of ice, dirt or snowdrifts. Powdery snow can be ideal for riding – but it’s also easily whirled into the air by snowmobiles ahead, impairing visibility. Adjust your speed. Wet snow is also fun to ride, but heavy wet snow can make the snowmobile more difficult to steer. The safest rule is to never cross a frozen lake or river, since you can never be absolutely sure that the ice is thick enough to support the weight of a snowmobile. Beware of collisions: If you enjoy riding and whirling on ice, others will too. Be extremely mindful of other snowmobilers. If you must tow a disabled snowmobile behind yours, be extremely careful. Always remove the drive belt from the machine that will be towed. If possible, use a rigid bar instead of a chain or rope. If you must use a rope, tie the left ski of the disabled sled securely to the hitch of the towing vehicle to keep it from veering into oncoming traffic. If possible, avoid pulling riders on the disabled snowmobile. If you have to carry passengers on the towed sled, they should help steering, braking, and be mindful of kicked-up chunks of ice and snow.